Abdullah Abdullah has claimed victory in the second round of Afghanistan’s presidential race, despite results giving a lead to his rival, Ashraf Ghani. 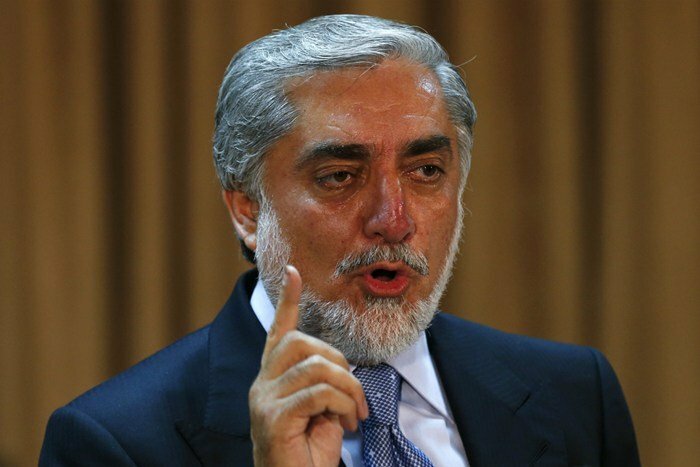 Addressing supporters in Kabul, Abdullah Abdullah repeated claims that the election process was marred by fraud. US Secretary of State John Kerry had earlier warned against a power grab, amid reports that Dr. Abdullah Abdullah was planning a “parallel government”. Meanwhile, a bomb near Kabul has killed 16 people, including four NATO troops. Ten civilians and two police officers were also reportedly killed in the attack on a clinic near Bagram, home to the largest US base in the country. Abdullah Abdullah told the gathering in Kabul that he would never “accept a fraudulent government”. “We are the winners of this round of elections, without any doubt,” he said, to cheers from the crowd. However, Abdullah Abdullah stopped short of declaring a parallel government as his supporters had earlier suggested he might. Instead, he called for a unified country. “We don’t want civil war, we don’t want a crisis,” he said. Preliminary results announced on Monday gave Ashraf Ghani 56.44% of votes in the June 14 run-off. Abdullah Abdullah, who fell just short of an outright majority in the first round, had 43.56%. Both of them have alleged fraud in the election. Votes are being re-checked at nearly a third of polling stations – more than 7,000. Correspondents say recounts could significantly alter the final result, due on July 22.